So basically the title of this one says it all. 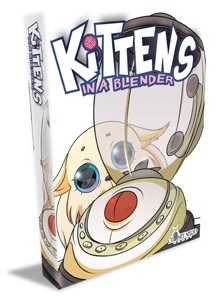 Kittens In a Blender is about…putting kittens in blenders and…well…blending them. The game is for 2-4 players but I honestly only recommend playing it if you’ve got at least 3, and hopefully the full 4. The object of the game is to get your kittens into the box, and get your opponents kittens into the blender. Kitties in the box get saved and kitties in the blender get blended. Aside from a slew of kittens who’s fates hang in the balance the game also includes cards like “Dogs In the Kitchen”, “Kitties On The Move” which change up game play by making players swap hands, or allowing them to move kittens a certain number of spaces across the table, respectively. There are 3 spaces kittens can be played in the game, in the box, on the counter, and in the blender. Some cards will force all of the kittens, or all of the kittens of a certain color into one of these spaces as well. When a player plays a Blend card, all the kittens in the blender get killed, the ones on the counter move to the blender, and the ones in the box get saved. If you’ve got a Blend Pulse card you can stop another person’s blend, or use it like a regular blend card. That’s about all their is to the game, it might not sound like a lot of fun, but trust me, it is. The game uses a point system, at the end of the game once all of the blend cards have been played players total up their points to see whoever has the most. Players receive 2 points for every one of their kittens that was saved, and lose a point for each one that got blended. It’s pretty simple, I’d even say a little too simple at times but the beauty of the game is in the fleeting alliances you forge, and the begrudging enemies that you’ll inevitably make. The artwork of the game depicts 4 different color coded sets of cats and each one is unique, each has its own artwork and name. Some of which are absolutely hilarious (Ham Sandwich is a great example), and some of them look so mangy you don’t feel too bad about putting them down, but blending a kitten like “Pancake” truly proves that you are some kind of monster. The quality of the cards are pretty good, especially at the 10$ price point, the game plays quick and it’s pretty damn cute over all. It is a great party game or a way to kill 10-20 minutes or so, and also is a great way to get typical non-gamers to sit down at the table and let loose a little bit. I’d not recommend playing this game with avid PETA members, you know…obvious reasons. 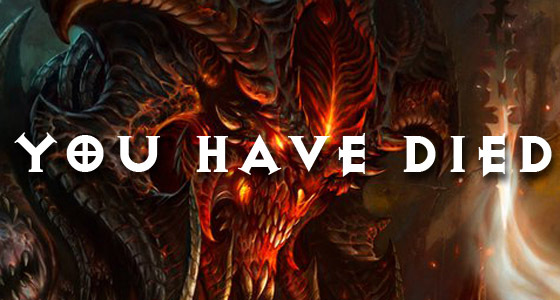 But if it’s any consolation, a portion of the games sales are donated to no-kill cat shelters. You can pick up kittens in a blender online at amazon for a total of about 13$ with shipping or you might be able to find it in your local game shop too. There’s also an expansion pack that got kickstarted floating around out there somewhere too, though I’m not sure on its availability. There’s also another game out there which was created (or at least published) byt the same folks who made KIAB called “Poo” that I won’t be doing a full review on but I do also highly recommend you check out as well. Poo is another quick, party oriented card game that’s a blast, especially if you’re really into getting into a shitstorm with your friends, so to speak. I’ve got a quick unboxing video and short example of how the game plays out below, check it out and in the meantime – game on! I can’t think of any other game right now that I want to play more! And to be fair, I love cats, and have two of my own that I would never consider blending. Haha awesome, yeah I’ve got one cat myself. He’s a phantom around the house though, most people don’t even know we have one. I hope you enjoy the game, I’m glad you enjoyed the review. Thanks for stopping by! Excellent review. Thanks. Heading out to buy it now.